The Datalogic Gryphon I GBT4400 2D imager is the new area imager for general purpose scanning requirements in a wide variety of application environments including Retail, Light Manufacturing, Document Handling, Access Control, Entertainment, Health care and Transportation. 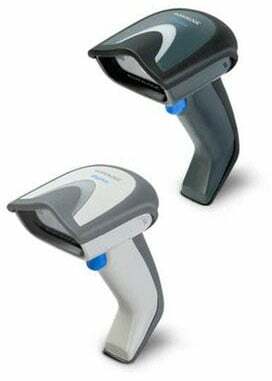 As the use of 2D barcodes becomes more popular, this area imager is the perfect product for those needs. The Gryphon I GBT4400 2D imager is designed with the user in mind, providing the best comfort and intuitiveness for both experienced and new users. This Gryphon imager is very snappy with excellent decoding capabilities and users will find it to be at the top of the imaging products currently available on the market. The Gryphon I GBT4400 2D imager is capable of reading both 1D and 2D barcodes with the freedom of mobility in the workplace. Using Bluetooth wireless technology, it is able to send scanned information back to the host from great working distances. The Datalogic GBT4410-BKK10-C365 is also known as Data Logic	DTL-GBT4410BKK10C365	or GBT4410BKK10C365	.